Succotash Epi7 - Nuthin' But Podcasts! We're back. Vacation break over, me, Joe Paulino and the rest of the Succotash crew is together again and rocking Studio P in Sausalito. A double dose of political comedian Will Durst in this edition. Catch Will at his home site at http://WillDurst.com or on Twitter as @WillDurst. One of podcasting's fastest rising shows, Kimmy Gatewood, Rebekka Johnson and Sarah Lowe are The Apple Sisters, bring their 1940's flare with a 21st century sensibility to the webwaves. Guest Jason Ritter joins them in this clip. Get more at http://TheAppleSister.com or on iTunes. Comedian Chris Porter, a finalist on Season 4 of Last Comic Standing, rants a bit about obesity and wonders why people in Texas can even be fat. Load up on him at http://pantswise.com/generalstore or on iTunes. So says host and comic Patrick Melton, who's joined by comedian Ryan Stout, who leads the discussion off into what a bad gig can be like...and can you recover? If you like what you hear, go get yourself a full helping at http://nobodylikesonions.com or iTunes. What I can tell you is that the Comedy Buffet guys have a couple of dudes (Jason and Jesse) from Van Full Of Candy on their show where, in this clip, they joke about oversized food and diabetes. (What I can also tell you is that I'm a big, giant goober. In the podcast, I dress the CB boys down for not ID'ing themselves. Next time I'll read the email someone sends in all the way through. Michael Powell hosts the show, joined this time around by usual suspects Matt Bernier and Don Buley.) Have yourself a good ol' time over at http://TheComedyBuffet.com or iTunes. 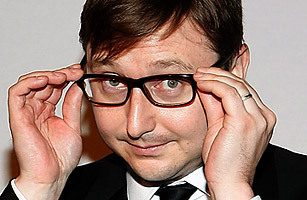 If you don't know who John Hodgman is, you've no one to blame but yourself. He's the PC in the PC and Mac commercials. He's a correspondent on The Daily Show. And, well, he's John Hodgman! On his podcast, which is patterned much like the old People's Court on TV, he hears "legal" cases of strange and dubious merit and then rules on them. In our clip, he sounds off after hearing some letters by listeners with questions. Hear the full stories at http://maximumfun.org or iTunes. A couple of guys from Chicago, Patrick O'Rourke and Rob Gregory, welcome guests Carley Moseley and Andy Kushnir from the sketch group Jeremy. In this segment, they try to get a fix on exactly what a hipster is all about. Hear more at http://somebodyandme.com or iTunes. Comic Tom Rhodes is joined here by Lou Angelwolf and Dana Gibson along with guest John Fugelsang. In the clip we have, John talks about his religion-flavored upbringing and how it helpd to shape his early comedy. There's more in store at http://trr.libsyn.com or iTunes. As you can see, Succotash Epi7 is stuffed with delicious podcastery. In addition, our booth announcer Bill Heywatt has a bit of a meltdown in studio (we're also featuring his unique spin on the classic drink, the Snowshoe), and we have a new commercial from our favorite sponsor, Henderson's Pants. If you'd like, follow us on twitter @SuccotashShow, Like us at our Facebook page (just search for "Succotash Show" on fb), or drop us a line at marc@SuccotashShow.com! 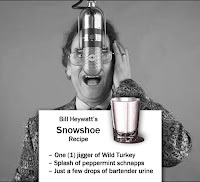 Until next time, be kind, rewind and, as always, pass the Succotash! BONUS! 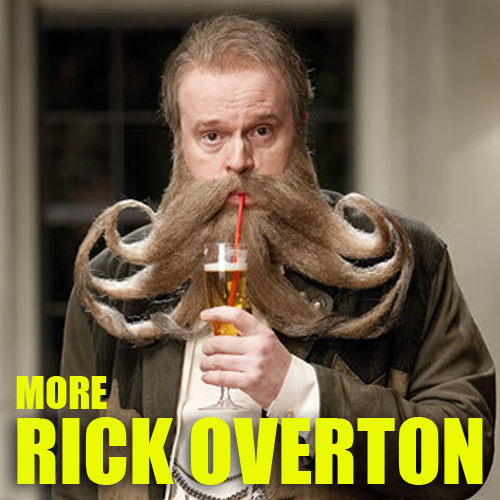 Succotash Epi6.5 Featuring The Complete Rick Overton! 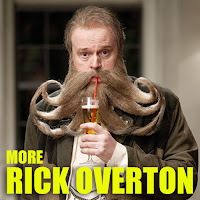 With engineer/producer Joe Paulino away on vacation for a couple of weeks, I didn't want the hungry Succotash listener to be without, so we're offering up a second helping of Epi6's special guest Rick Overton! This bonus episode features my interview with Rick in its entirety, which is almost 20 minutes longer than the original airing. There's more about Rick's background, and us talking about Vortex, the sci-fi action script that he and I optioned but never got made. Epi6.5 contains no comedy podcast clips, commercials, or anything other than Rick and I yakking it up. We'll be back to business as usual with Epi7 in a week or so. Hope you enjoy our version of a summertime book at the beach in the meantime! Until next time, please be so kind as to pass the Succotash!